Gravity Guy for Windows 8. The world of Fragger is at risk, and he needs your help to explode all enemies! Unleash your shooting abilities to kill all the enemies and unlock 3 different perks! Featuring 310 challenging levels, and 10 different worlds, Fragger guarantees you many long hours of exploding fun! Once you become and grenade launcher expert, compare your score.. Fling is considered by many to be the best puzzle game ever made! Featuring 10,000s of unique puzzles, such that no two puzzles you encounter are ever the same, and split into 30 levels of increasing difficulty, Fling guarantees you many long hours of puzzling fun! Each puzzle has a single, unique solution, and is solved by simply flinging (pu..
Monster thugs are on the loose harassing the inhabitants of the colorful world of Monster Island. Now, it's up to you and your arsenal of mini-monster bombs to get rid of this plague of unwanted visitors. Can you stand against such mischievous foes? Unlock five different monster bombs, each with its own abilities: Rocko, Sticky, Xplode, .. In a world where gravity laws were broken, a brave guy, was held captive for defying the rules. Not happy, he decided to escape, being the first one to run for his life flipping gravity at will. He became known as the Gravity Guy. 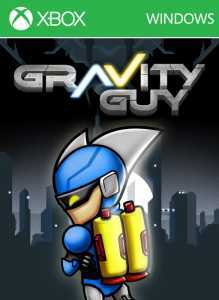 Being chased by Gravity troops, Gravity Guy can't stop, he has to keep running and it's your job to guide him thr..